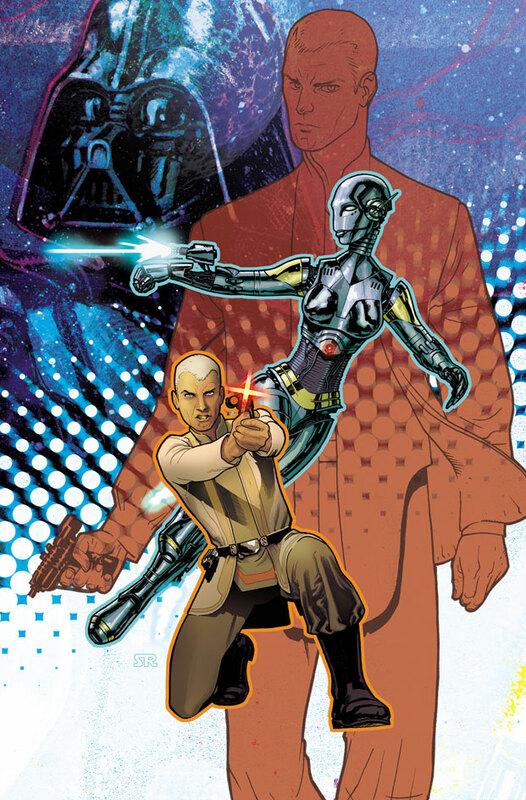 Dark Horse has revealed their new comic, Agent of the Empire, by John Ostrander. To get more of a hint about the series check out TOS. Update on C2E2 news: Dark Horse Comics. Darth Vader and the Lost Command will be collected as a hardcover. Crimson Empire III will take place two years after Crimson Empire II. New series, Agents of the Empire. Think James Bonds meet Star Wars. Ostrander and Duursema working on new untitled series. Ostrander — Lucas says no Quinlan Vos comic stories for now. A photo with their favorite author. He's back there somewhere. 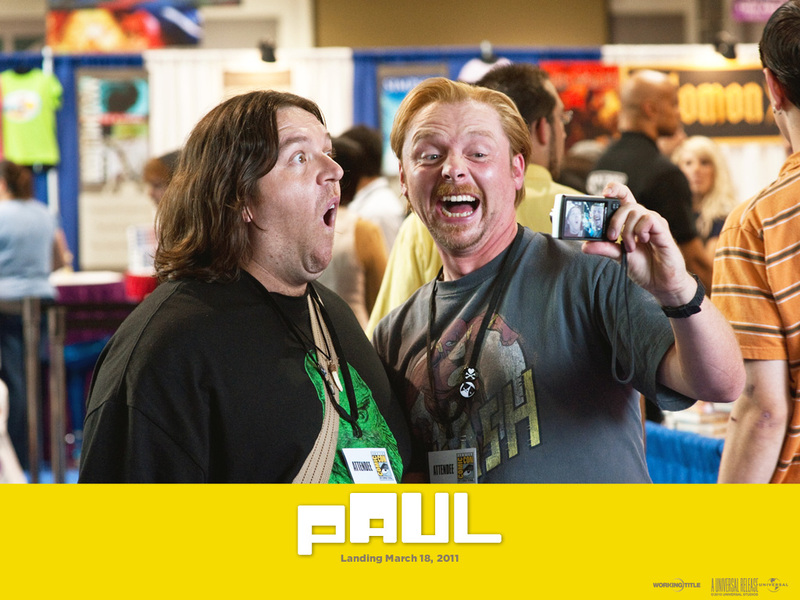 From the beginning of the new hit movie Paul, starring Simon Pegg and Nick Frost, we Star Wars fans are treated to one tribute after another to our own favorite cinematic series. In the opening shot we find our protagonists Graeme Willy (Pegg) and Clive Gollings (Frost) at the San Diego Comic-Con food court preparing to meet their hero, fictional author Adam Shadowchild (Jeffrey Tambor), while in the background we see a gaggle of no less than half a dozen lovely young ladies finishing their lunch while dressed in the renowned brass bikini Carrie Fisher wore as Princess Leia in 1983’s Return of The Jedi. Ah, it'll never catch on. There are actually many references to other science fiction films in the course of the movie including, E.T., Predator, Alien and Close Encounters of The Third Kind but none more so than the Star Wars references. Graeme spends half the movie in an Empire Strikes Back t-shirt. At one point the presumed antagonist, an MIB played brilliantly by Jason Bateman, is arguing with his superior over a police band radio and when the argument doesn’t go well for him he simply pulls his gun, blasts the radio to pieces and declares, “It was a boring conversation anyway.” One couldn’t help thinking that at that point in the movie he was also going to be having company real soon. As if the imagery and site gags weren’t enough to endear this film to Star Wars fans the film’s architects went so far as to include a nod in the musical score. At one point we find our motley band of awkward friends walking into a Wyoming roadhouse as the band plays The Cantina Theme from A New Hope with a country/western flair. They keep the number going throughout the scene and it serves to make the action that much more enjoyable. This was a brilliantly funny movie. While it was rated R it wasn’t overly crass and would be easily editable into a PG-13 version although some of the funniest gags would have to be cut or watered down. For any fan of Star Wars I would recommend seeing the movie Paul while it is still in theaters. You won’t want to miss this one.